Popular budget range, excellent value for money. 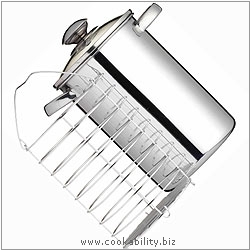 An asparagus steamer with basket that can also be used for steaming corn on the cob. 3ltr capacity. Radiant ring, solid plate, ceramic, halogen, gas, dishwasher, induction.